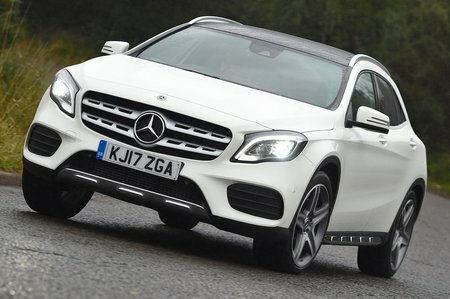 Mercedes GLA-Class GLA 250 4Matic AMG Line 5dr Auto 2019 Review | What Car? What Car? will save you at least £3,059, but our approved dealers could save you even more. This brings mostly style additions to Sport trim, including a more aggressive AMG bodykit, figure-hugging sports seats, 19in alloys and contrast stitching in the interior. It commands a high price that’s hard to justify, though. Four-wheel drive and an automatic gearbox as standard, the 2.0-litre turbocharged petrol GLA 250 is expensive and not as fun as you might hope given the promising, hot hatch-like claimed performance figures. It sounds a bit coarse, and doesn’t feel as fast or as encouraging as some might expect.